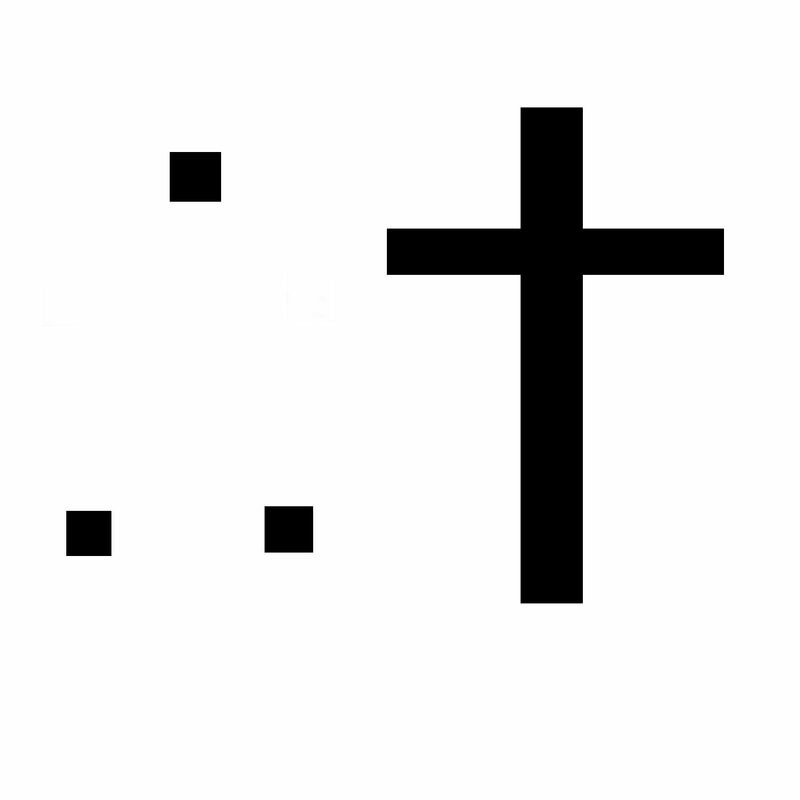 Founded by Jim Boucher in 2012, Therefore, God Exists is a Christian apologetics and theology blog devoted to providing good answers to difficult questions. These questions could relate to the existence of God, the coherence of theism, or the challenges of atheism. This is where Therefore, God Exists will appeal to natural theology by representing the classical arguments for the existence of God and defending them against philosophical critiques. Second, Therefore, God Exists will defend the coherence of Christian theology. While some may think that theology and apologetics are separate entities, Therefore, God Exists treats them as deeply interrelated. If the conclusion that Jesus rose from the dead is to be reached, one will also have to ask what the religion that Jesus left behind looks like. Defining and defending the nuances of the Christian faith will be part of the task of apologetics. Accordingly, Therefore, God Exists represents the Protestant tradition and will engage with the theological arguments mounted by Roman Catholicism, Eastern Orthodoxy, and other denominations within Protestantism. Further, social and ethical issues such as abortion will often arise on Therefore, God Exists. The gospel is not preached in a vacuum. Every culture will have specific moral challenges. The church needs to know how to deal with these challenges to have a strong witness. Therefore, God Exists therefore confronts issues such as abortion, sexual ethics, public policy, government, and anything relevant that might arise. Defending biblical theology in all of these issues will require research and reliable sources. Throughout this website, readers will find material ranging from the height of scholarship to another blog that the authors of Therefore, God Exists thought was insightful. Typically, sources used will include but are not limited to Dr. John Meier, Dr. William Lane Craig, Dr. Paul Helm, Ron Paul, Dr. Frank Turek, Professor Richard Dawkins, Aristotle, Immanuel Kant, Dr. Nabeel Qureshi, Dr. John Duvall, Dr. RC Sproul, Hans King, Dr. W. Jay Wood, Dr. Arthur F. Holmes, Dr. John Walvoord, Dr. Ronald Nash, CS Lewis, and many more. 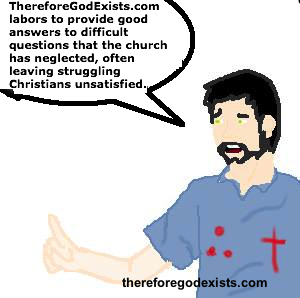 Critics sometimes ask why Therefore, God Exists uses cartoons to illustrate the points made in each article. The answer is simple. Readers will easily become overwhelmed by a big block of text. A random picture is one option. The cartoons are another. Further, the cartoons provide a brief introduction to the article, allowing the reader to quickly decide if the information is interesting to her. If you would like to reach Therefore, God Exists, it has a presence on both Facebook and Twitter. Therefore, God Exists also created a Facebook discussion group that is exclusive to discussing theology within the confines of Protestantism. If you are a Protestant, join the Protestant Cafe on Facebook. The Cafe has a reputation for both  civility and  intellectual discourse. It is one of the few Facebook groups in which people can disagree without being disagreeable. If you are looking for Therefore, God Exist’s recent blogposts, they should appear on the sidebar to the right (if on the mobile site, tap on the three vertical dots in the top right corner). For older posts, please view the menu on the sidebar to the left and find the relevant topic (for mobile, tap the three lines in the top left corner). Alternatively, there is a search bar at the top of this page. Thanks for reading. If you want to get started, check out the article Can A Universe Emerge From Absolutely Nothing?